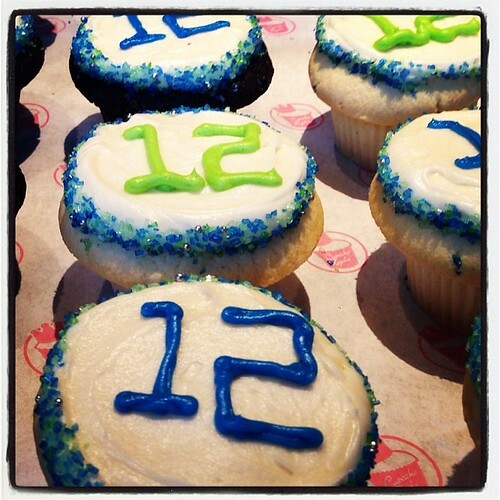 Denver Broncos and Seattle Seahawks fans are getting ready for the Super Bowl on February 2nd, and so are their local bakeries! 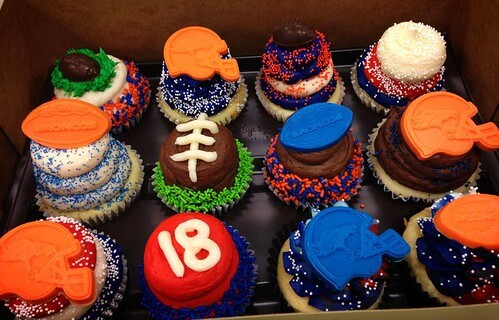 These Denver Broncos cupcakes are by Gigi's Cupcakes in Denver, via their Facebook page, and the Seattle Seahawks cupcakes are by Cupcake Royale, via their Facebook page. With the birth of an NFL franchise in 1976, Seattle fans were no longer starved for their own professional football team. As the Seahawks strengthened, their loud, sold out crowds became known as the 12th MAN.